Masjid Muhammad is the mosque at 1519 Fourth Street NW in Shaw. The mosque is hosting an open house tomorrow from 11 am to 4 pm. The D.C. Government is hosting its annual “truck touch”, an event where residents (especially kids!) get to sit in firetrucks, touch the police helicopter, watch DC Water’s sewer robot in action, gaze at snow plows, peer under street sweepers, and much more. 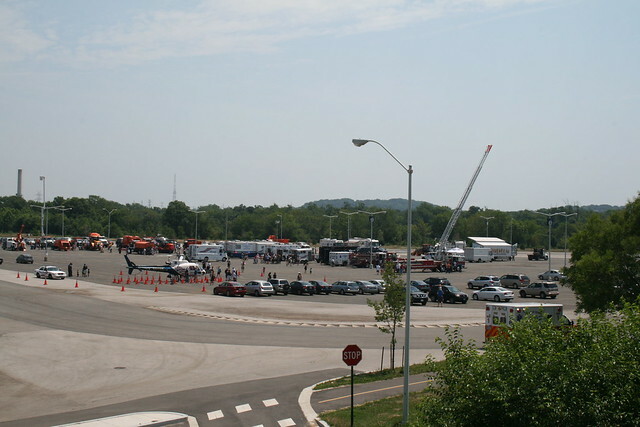 The Truck Touch is tomorrow from 8 am to 1 pm at Lot 7 at RFK Stadium. View some photos I took of the 2010 Truck Touch.